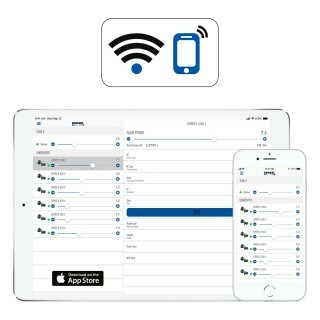 Hensel WiFi Remote is the radio remote control and sync via app for all current Expert D monolights and all Nova D and Nova DL flash generators. 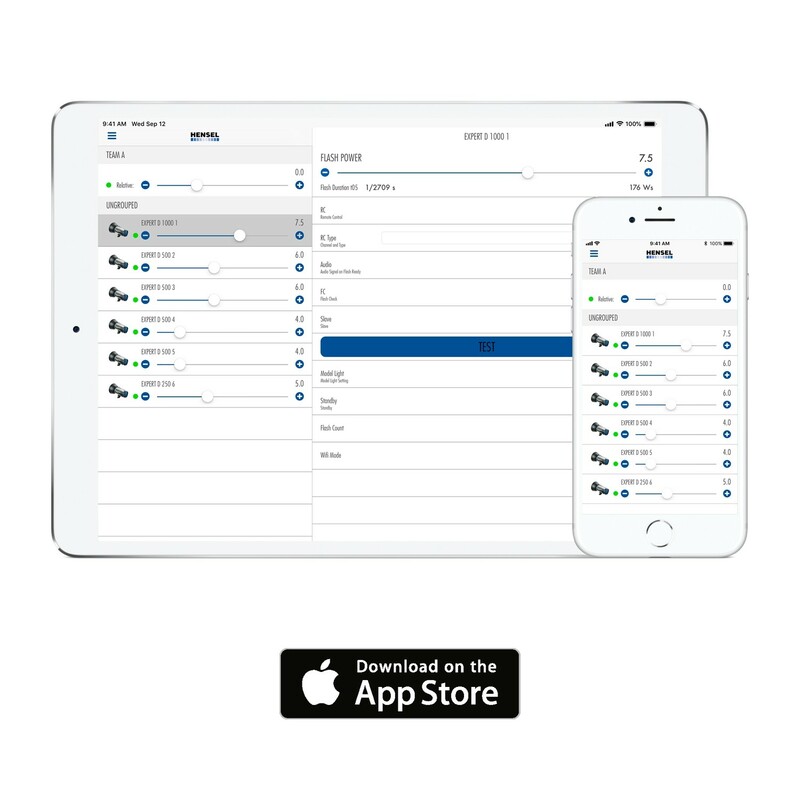 The "Hensel Remote" App is available for iOS, for macOS and for Android and allows you to control all functions of Hensel Flash units if these are equipped with the corresponding functionality (all current Expert D monolights and Nova D and Nova DL flash generators). The settings can be saved and recalled any time. Besides the flash power which can be displayed either in relative f-stops or Ws, the modeling light, the sync mode, and the ready signal can also be remotely controlled. When operating several units, each unit’s power can be controlled individually or jointly – the latter allows fast correction of the whole exposure but without affecting light characteristics. The flash synchronization is done either via the proven Strobe Wizard Plus radio system by Hensel, via sync cord, or photocell. 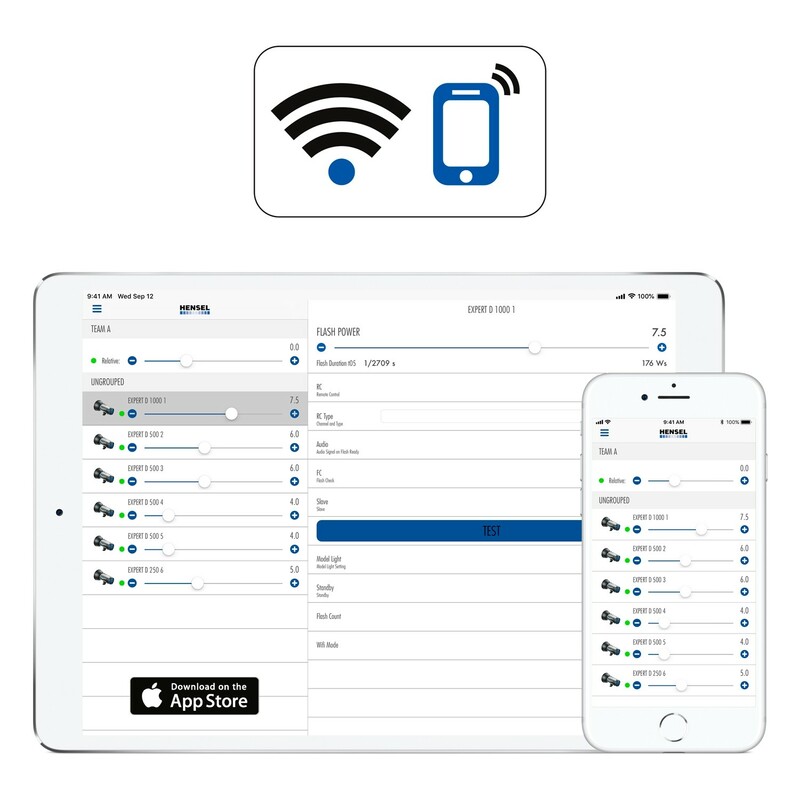 Due to a special protocol and the use of advanced WiFi modules, up to 12 Hensel flash units can be directly controlled without router via the Hensel App. On top it is possible to create 10 independent teams with max. 12 flashes each – perfect for larger studios. Individual flashes can be combined into large groups and controlled together; perfect, for example for large light banks or background lighting. 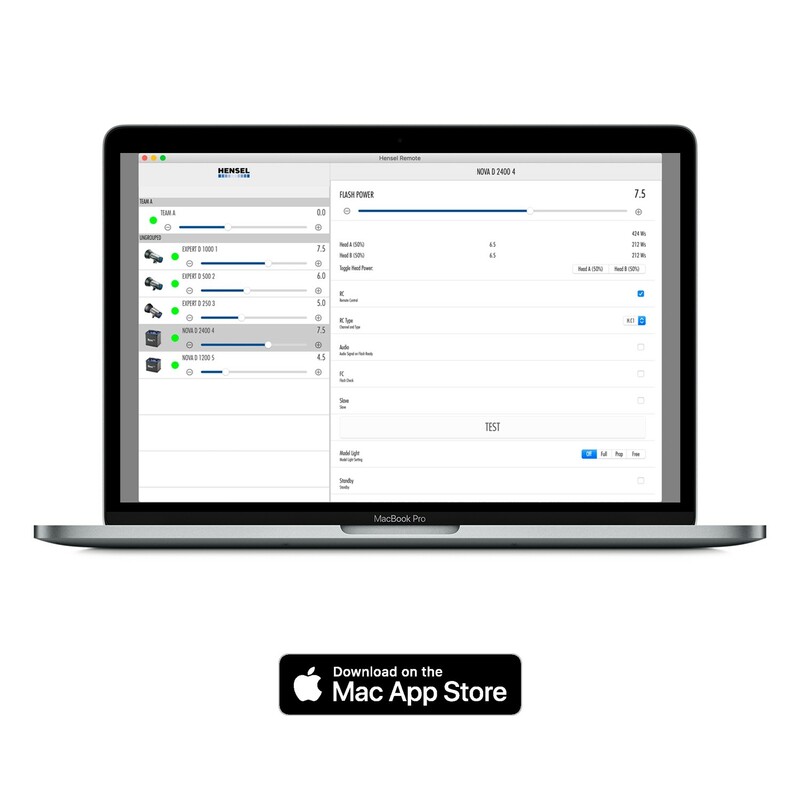 In order to quickly find and match saved settings, pictures of the set-up taken with the respective smart phone or tablet (macOS: separate camera) can be stored in combination with all settings. 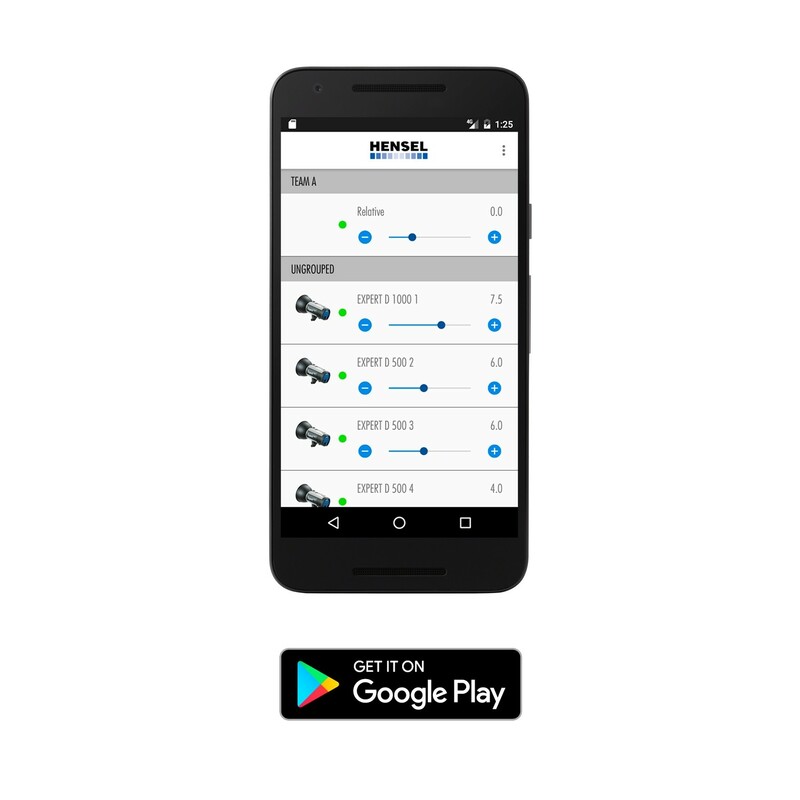 Another unique feature of the Hensel App is the option to have the flash duration times of all controlled flash units displayed. This allows you to select the power in such a way as to reliably freeze fast motion. Since September 2016, all Hensel Expert D series flash units are equipped with the WiFi function. Older Expert D units can be upgraded which proves that Hensel systems truly are future proof. Since middle of August 2017, all Hensel Nova D and DL series flash units are equipped with the WiFi function. Further Hensel compact flashes and flash generators are planned to be equipped with this remote control option in the future.